Enewsletter (PDF) $99 without printed newsletters. Enewsletter (PDF) $22 with printed newsletters*. More info on Enewsletters HERE. 6 Editions = 10% off**. from our six editions per year*. To download our price list in PDF form click HERE. 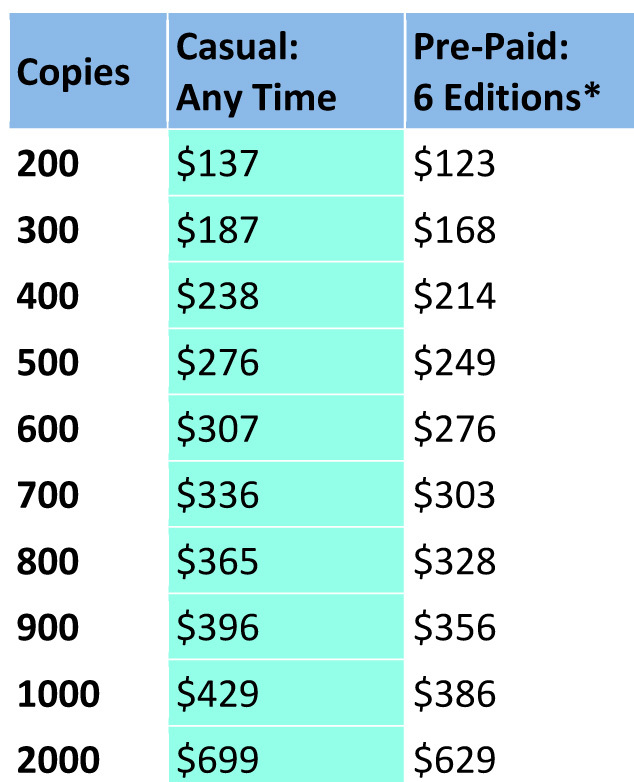 For those who wish to compare prices, HERE is what we found last time we looked. **Maximum pre-paid duration is 12 months.